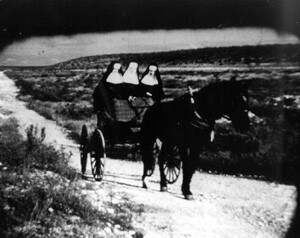 An early re-enactment of the 1869 journey from Galveston to San Antonio undertaken by three Sisters of Charity of the Incarnate Word. The journey resulted in the formation of what is today the largest congregation of women religious in Texas. When the sun rose on Sept. 9, 1900, the island city of Galveston, Texas, lay in ruins. What would come to be called The Great Storm, a hurricane of massive proportions, had roared ashore from the Gulf of Mexico overnight, sweeping “the Wall Street of the Southwest” from the face of the Earth. Over the following weeks, rescuers pulled more than 6,000 bodies from the rubble, piled the remains on the beach, and burned them to prevent an outbreak of disease. Among the departed, discovered amid the wreckage of St. Mary’s Orphan Asylum, were the bodies of ninety children ages 2 to 13 and all ten Sisters of Charity of the Incarnate Word. In a valiant, yet ultimately futile, attempt to save the children from floodwaters that rose to twenty feet above sea level, each sister bound six to eight orphans to her waist with a length of clothesline. The lines tangled in debris as the water destroyed the only home some of the children had ever known. 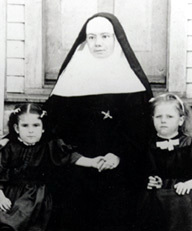 Sister Vincent Cottier and two of her young charges at the orphanage in Galveston. All three perished during The Great Storm of 1900. All that survived of the orphanage were the three oldest boys and an old French seafaring hymn, “Queen of the Waves.” To this day, every Sept. 8 the Sisters of Charity of the Incarnate Word worldwide sing the hymn in honor of the sisters and orphans who died in what remains the deadliest natural disaster ever to strike U.S. soil. Established in Galveston in 1866 by three Catholic sisters from France, the Sisters of Charity of the Incarnate Word is a congregation of women religious. 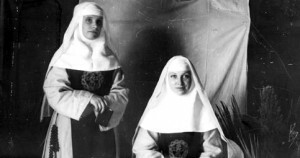 Not technically nuns because they take perpetual simple vows instead of perpetual solemn vows and work among secular society instead of living in seclusion behind cloistered walls, they nevertheless wear habits and bear the title Sister. Today the original congregation is based in Houston, but back then Galveston seemed an ideal spot for the women to build a convent, an orphanage, and a hospital. On January 7, 1867, they opened Nazareth Academy in Victoria, Texas. In 1883, the federal Bureau of Education praised the academy as one of six Texas schools providing “superior instruction of women.” By 1869, the sisters had founded a second congregation in San Antonio. From there, they expanded to other cities in Texas, including Amarillo, and even farther west, all the way to California. In 2014, the sisters operated missions in Ireland, Guatemala, El Salvador, and Kenya in addition to the United States. They continue to operate Nazareth Academy, but as a coeducational school serving children in pre-kindergarten through eighth grade. Two postulants from the Congregation of the Incarnate Word in San Antonio, Texas, ca. 1890. Armed with faith instead of guns, the sisters did their part to civilize Texas’s notoriously wild frontier. They did not do so without significant hardship. Catholics often were not well-tolerated in 19th Century America, although in Galveston the sisters were admired and even loved for their industry and benevolence. That benevolence led to the deaths of two of the original three Sisters of Charity of the Incarnate Word, who perished during Galveston’s yellow fever epidemic of 1867. As a Galvestonian, the history of the island city and its diverse people fascinates me. I continue to hope for inspiration that will grow into a story set here, where the past overflows with tales of adventure dating back well before the pirate Jean Lafitte built the fortified mansion Maison Rouge on Galveston in 1815. 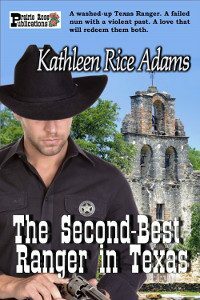 In the meantime, the Sisters of Charity of the Incarnate Word provided the inspiration for the heroine in a quick read, The Second-Best Ranger in Texas, which is available at Amazon, Barnes & Noble, and . 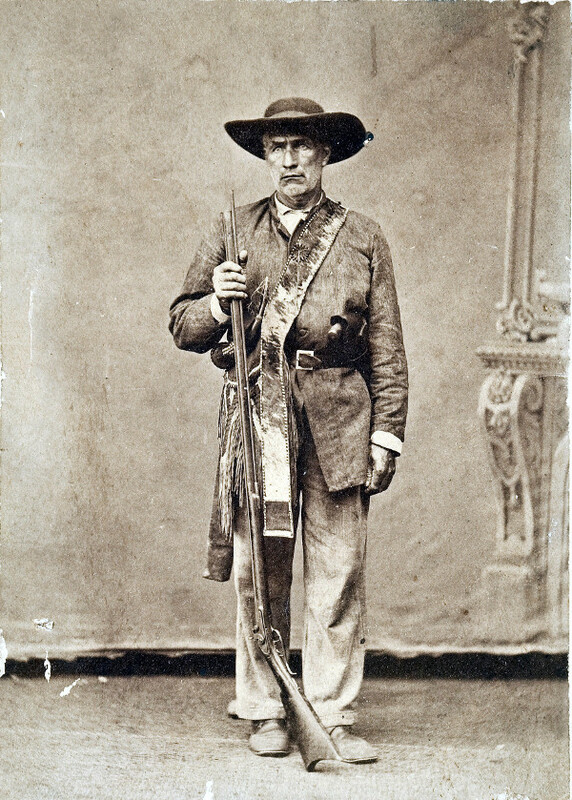 A washed-up Texas Ranger. A failed nun with a violent past. A love that will redeem them both. Thanks so much for stopping by. As a token of my appreciation, I’ll give a copy of The Second-Best Ranger in Texas, in the winner’s choice of e-fomats, to one of today’s commenters. 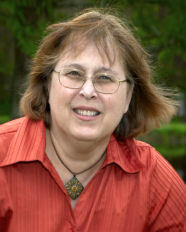 Like several others have already mentioned here, I had a great time at the RWA conference in San Antonio last month. But I made it even more fun by tagging a family vacation on the front end. Hubby and I, along with three of our kids and our son-in-law, arrived in the city the Saturday before the conference and spent three days seeing as much of what San Antonio. We visited a lot of cool places and I posted pictures of some of them on my facebook page if you’re interested in checking them out. But the one I want to talk to you about today is the Buckhorn Museum. We arrived around 12:30 so we went to the restaurant area first to grab a bite to eat. And that’s when I discovered where the place got it’s name. There were horns and antlers displayed everywhere, and I do mean everywhere. I’ve never seen so many in my life. Then, when we went into the museum itself we found numerous displays of furniture that used horns as part of the construction. Curious, I took a number of photographs and then did a bit of research on the subject when I got home. It seems that most of the furniture pieces were constructed by a gentleman by the name of Wenzel Friedrich. Mr. Friedrich was born in Bohemia in 1827. 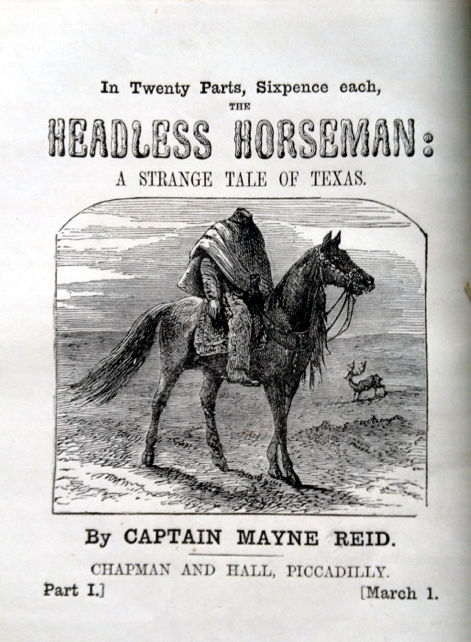 By 1853 he had made his way to Texas and settled in San Antonio.. A year later he married one Agnes Urbanek and together they had seven children. 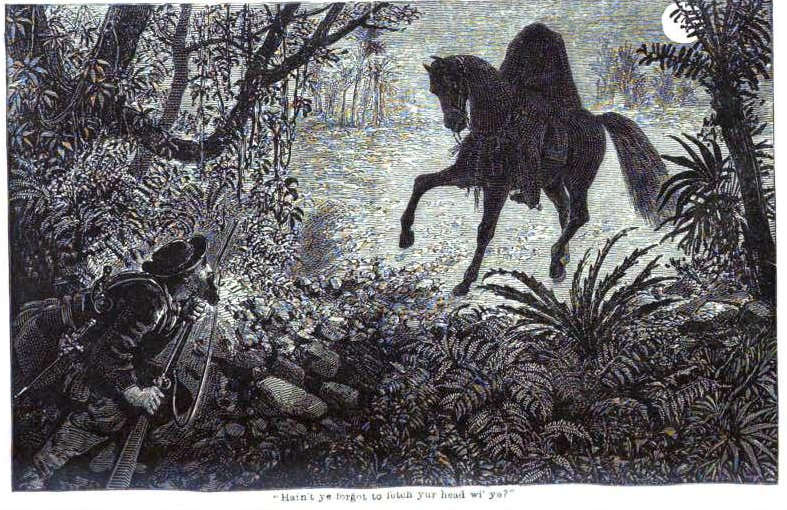 Their youngest son, Albert Friedrich, is the man who would one day found the Buckhorn. Wenzel had several jobs after he traveled to Texas but eventually resumed his work as a cabinet maker, something he’d received some training in in his home country. By 1880 he had his own business and was listed in the city directory as a manufacturer of horn furniture. I couldn’t find anything that explained WHY he started making horn furniture, but apparently he was quite good at it. He received gold medals for his craftsmanship in a number of shows, including the Cincinnati Industrial Exposition of 1883, the New Orleans Industrial and Cotton Centennial Exposition of 1884-85 and the Southern Exposition of Louisville, Kentucky in 1886. And his furniture was prized overseas as well, making its way into the hands of such dignitaries as Queen Victoria, Kaiser Wilhelm I and Otto von Bismarck. Wenzel passed away in 1902, but his furniture endures. Today you can find examples in museums throughout the USA. 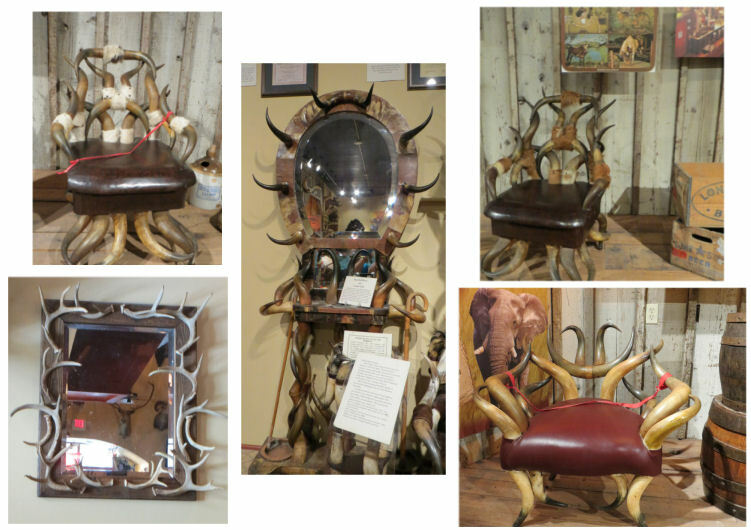 Below are some of the pictures I took of this unusual furniture. So what do you think? Do you like the look of these? Would you like to have pieces like this in your own home?